The authors conducted a comprehensive review of articles on the subject of e-government that were published in refereed scholarly journals through the end of 2004 to serve as a baseline for future analysis of this emerging field. They found over 100 e-government articles, but only 57 with empirical content. The authors then examined the articles using 12 analytical categories. They conclude that the scholarship about e-government comes primarily from the United States, and from authors trained in the social sciences. 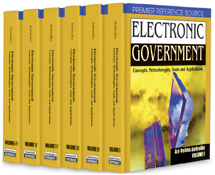 Few e-government articles adequately used the literatures that were available (e.g., IT and government, e-government, or any specialized literatures), and few created or tested theory or hypotheses. Articles employed both qualitative and quantitative methodologies, but many contained conclusions that were not supported by their data or analyses. The authors conclude that e-government research is a young and growing field that has yet to achieve adequate scholarly rigor.